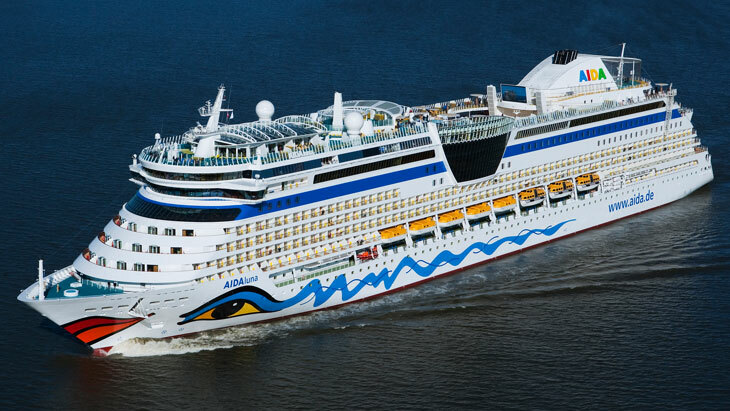 AIDA – the name that made cruises popular in Germany: not luxury with a dress code, but relaxed refreshment. With more and more people enjoying this concept, the AIDAluna is the sixth ship with the characteristic lips on its bow. Up to 2,050 passengers board the ship to discover their dream destinations in the Caribbean or around the Mediterranean. Even the fixtures pamper their senses. The 1,025 cabins, two-thirds of which have an outside view, are modernly and warmly decorated with summer-colored fabrics and fine veneers on the installations. In the bathrooms, this includes the minimalist Talis S faucet range. The floating home has been developed for the German market and aims at a clientèle that appreciates design. The AIDAluna has no lack of highlights: The Indian-styled spa area is simply spectacular, while the cinematic LED screen on the sun deck offers the perfect setting for open-air entertainment. It has a cinema screen format. Shows at the “Theatrium” offer further entertainment within the 252‑meter ship.